You’ve heard of them. 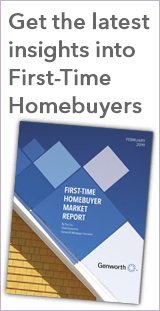 You may have even seen one or two... first-time homebuyers. They’re out there. And they’re out there looking for you. Do you know where they are? What do they think about buying a home? What makes them decide it’s time? And when they're ready, how do you get them to think of you? 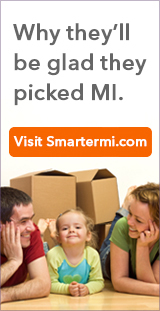 MI First–Time Homebuyer will answer these questions, provide you with tips and resources and some pretty cool material to share with your borrowers. Subscribe to our blog and access our quarterly report from our Chief Economist — the only economic series focused on the first–time homebuyer market. Using 21 million first-time homebuyer records from mortgage origination data, this report spans two housing cycles over the past 24 years. 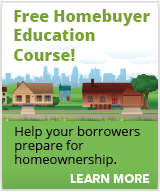 Genworth's self-paced, mobile friendly, online Homebuyer Education course is a great no-fee resource that you can offer to your first-time borrowers including those using Home Possible®. Help them understand the mortgage process, best savings practices, and more. Our training courses cover topics relevant to loan officers working with first-time homebuyers. Get an overview of affordable housing as well as providing in-depth looks at Home Possible and HomeReady®.